"I will always be so grateful to you for not only giving me back my mobility, but really my active life"
Dr. Lieponis is a Diplomat of the American Academy of Orthopedic Surgery and a highly respected Board Certified surgeon who has been involved in the management of spinal problems for over 20 years. He received his spinal training from some of the world’s best spinal surgeons at Loyola University Hospital, Shiners Children’s Hospital, as well as Yale University Hospital. In addition to participating in patient care, he has engaged in teaching, research, and the development of minimally invasive techniques and instruments for spinal surgery. 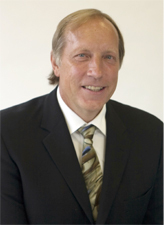 Choosing to transition into private practice, Dr. Lieponis co-founded Murphy and Lieponis PC in 1987. He has been and continues to be an attending physician and surgeon at Yale New Haven Hospital, Hospital of St. Raphael’s, and Milford Hospital as well as an active member and Assistant Clinical Professor in the Department of Orthopedics and Rehabilitation of Yale University School of Medicine. As an affiliate of one the largest orthopedic groups in Connecticut, Dr. Lieponis is able to offer superior resources and advantages to his patients while emphasizing personalized service. Dr.Lieponis offers his patients not only his expertise in the management of spinal problems but also the experience and expertise of multiple specialist within the group. Connecticut Orthopedic Specialists is a multispecialty group that includes their own Physical Therapy Department, MRI services, state-of-the-art surgical center and access to Ortho Now (emergency/walk-in clinic). Patients with urgent orthopedic problems can now opt for a more convenient experience over traditional emergency care.